Is Muslim comedy an oxymoron? Rather than begin with my own opinion, the following is an excerpt of a review of a sketch on a BBC show. I will reserve my opinion until the very end. “A Muslim comedian has spoken out in defence of a controversial new BBC comedy sketch called The Real Housewives Of ISIS, saying ‘being offended is very popular these days’. The BBC has come under fire for the sketch, which satirises US reality TV shows like Real Housewives Of Orange County and Real Housewives Of Atlanta. It appears on new BBC 2 show Revolting and follows a group of British girls who have travelled to Syria to join ISIS and marry terrorists. I think satirizing a group is the most effective way to undermine it, even when such group is as heinous as ISIS. The massive amount of suffering they have caused makes me reluctant to enjoy even a joke at their expense, but if the satire can can make some potential recruits turn away or shame their cause, then let’s have more satire. I am so politically incorrect and impervious to personal offense that I find the idea of a female ISIS recruit complaining that she “has nothing to wear to the beheading” hilarious. Sorry folks, I do. I don’t even understand the whole concept of being offended. My only quibble with what Shazia Mirza said is that she implies that the right wing press is more likely to be offended than the left wing liberals. NO! The latter are offended by almost anything, far more so than conservatives. 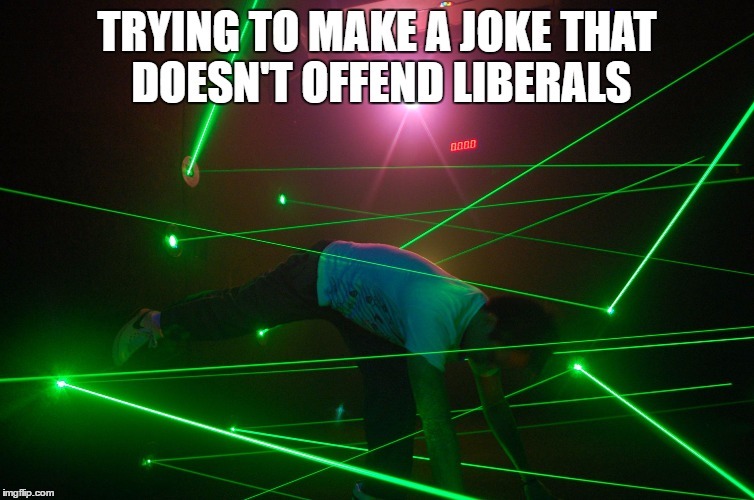 Taking up offense for others is the badge of honor for liberals. I really found it funny, especially the one where the wife says she has been widowed 5 times, then hesitates as the building shakes (drone strike? ), then corrects herself and says 6 times. As for the title of this post, I appreciate satire as among the highest forms of humor, and I would like to see a lot more self-satire from Muslims. As someone born into a Jewish household, I can appreciate the history of Jewish humor as a constructive response to oppression. If I were being oppressed, I hope I could laugh in the faces of my oppressors. Yeah, nothing would make them angrier….but that’s the idea! If you hate what I have to say, good. I invite you to get it off your chest by replying. But don’t necessarily expect a response. Dueling blogposts, emails, and texts are fun for awhile, but ultimately futile for mutual understanding. I am open to real dialogue but NOT dueling diatribes! Previous Previous post: Personalized potatoes, PB+J, Stolen Super Bowl jerseys. Next Next post: My favorite proverbs.